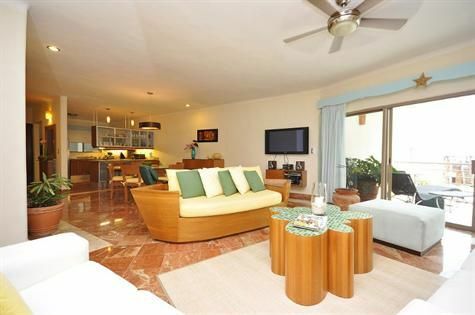 Announcing a price reduction on this stunning oceanview condo for sale in Playa del Carmen. This spacious unit has 1,505 sq.ft. of interior living space and a 172 sqft private terrace overlooking the beach and the Caribbean. The condominium has 2 bedrooms, each with ensuite bath and is offered for sale fully furnished and ready for immediate occupancy. The unit is fitted with hurricane and sound proof glass windows and sliders to protect this valuable investment. No detail has been overlooked to ensure years of comfort and enjoyment for you and your guests. This exclusive residence is located on the beach and within steps to the fabulous restaurants and shops of Playa's world famous 5th Avenue. World class golf, sport fishing, dramatic ruins and all the attractions of the Riviera Maya are within minutes of this luxurious location. This unit has a strong rental history and a detailed proforma is available upon request. Please contact Rob@BuyPlaya.com for a private viewing. 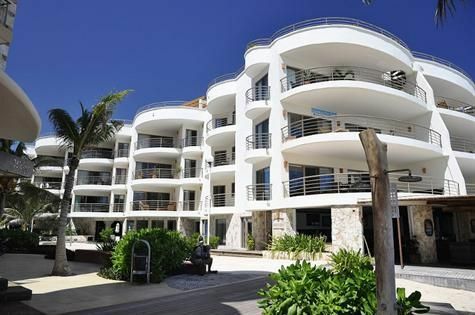 For more real estate listings in Playa del Carmen, visit www.BuyPlaya.com.